Permanent make up solutions contrary to belief are only temporary which will end up fading and discolouring. Having as Eyebrow Transplant is the solution to finally having real hair on your eyebrows. The Brow Lift By Maloy gives you control of your new eyebrow shape before surgery. I will work with you to map out your desired Eyebrow shape. Whether you want to change your shape, create more fuller or thicker look we can help you. I lost my eyebrows many years ago through over epilation leaving virtually no eyebrows at all. Since 2003 I have been on a journey to create eyebrows by drawing them on with make up everyday. However, I have noticed that my eyebrows have changed shape. This I believe is a result of poor make up techniques and drawing them on too dark. It was in my twenties being part of the beauty industry, that I thought I had finally found a solution. I did make up on lady who had permanent make-up on her eyebrows, and couldn’t believe it. Later that month I had my own brows tattooed and would continue to for several years until I realised the ink kept turning a funny colour. In 2011 I worked and travelled the world with my dear friend Leona Lewis and was exposed to so many beauty industry secrets. I found myself trying endless vitamins, growth serums and oils to no avail, so I have seen it all and tried it all. The last straw was having kids and not being happy with my appearance without makeup. 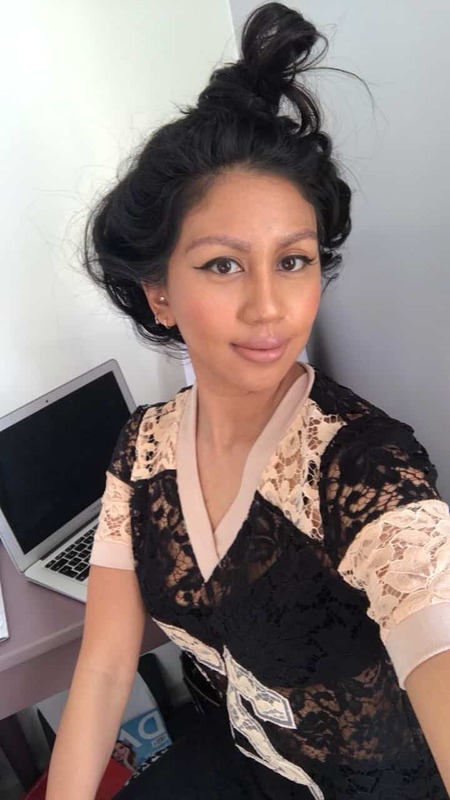 I longed for real eyebrows so I decided to have an eyebrow hair transplant, after visiting a few clinics I realised that not many clinics specialised in eyebrow hair transplant surgery and was advised to seek professional advice regarding my shape before surgery. I decided to add to my Fashion degree and became a certified and accredited eyebrow master so that I could map the shape myself. I have seen a lot of bad micro blading and tattoos on women I know and love, so I am determined to give men and women the opportunity to get the eyebrows you long for. I had an Eyebrow Transplant at the Holborn Clinic which is where I work now. Therefore I can give you first hand information and answer any questions or concerns you might have. Please feel free to give me a call. Eyebrow restoration or Eyebrow hair transplant is a surgical procedure where single hair grafts are extracted from the patients donor area usually the back of the head, and then harvested or prepared to be implanted into the desired eyebrow shape or area. There are two main methods which are used to extract the hair, which is FUE and FUT. 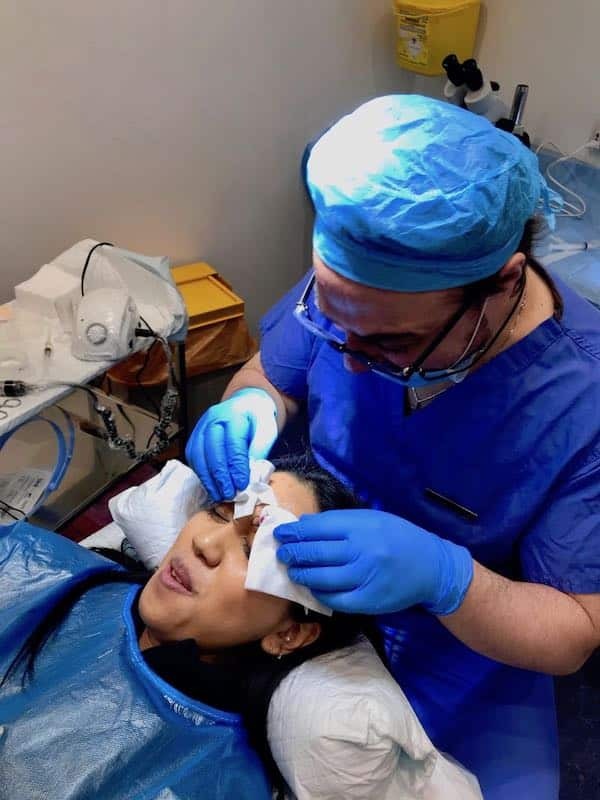 Our surgery is located at The Holborn hair and scalp clinic where one of the founders is a pioneer of the single hair transplant and so FUE is our preferred method to do our eyebrow hair transplants, as it is less invasive and requires less recovery after surgery. The diagram below is a simple explanation if the FUE Method. Prior to any surgical procedure you will meet with our trichologist and surgeon to assess that you are a suitable candidate. During your consultation we can then discuss your eyebrow concerns and draw on a few shapes to help you decide your desired eyebrow requirements for restoration. 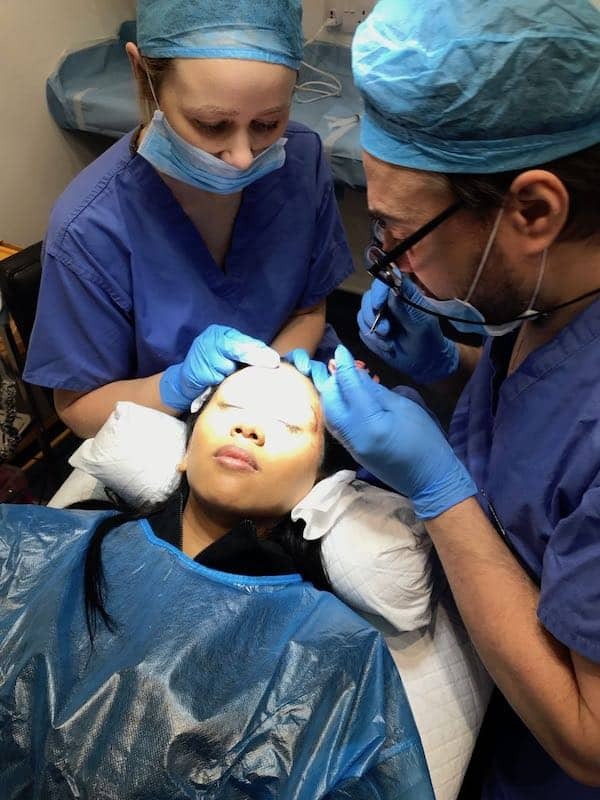 The eyebrow transplant is administered under local anaesthetic and takes around 4-5 hours. On the day of your surgery you will be given complete privacy and have the the luxury of the entire surgery clinic to yourself. I will draw on your agreed shape and then the Doctor will take you into surgery where you will be given local anaesthetic injections so that you will not feel any pain during the procedure. Small incisions are made within the shape of your brow, the angle in which these incisions are made are crucial to how the hairs will lay on your eyebrows so it is important that you only have an eyebrow hair transplant with a specialist surgeon. 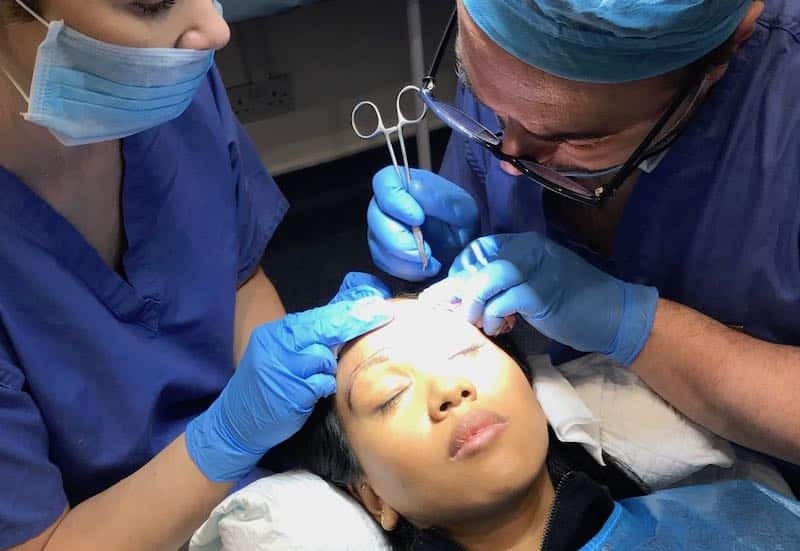 Once the hair has been extracted from your donor site, your grafts are carefully harvested in preparation for these to be implanted into the incisions created earlier within your eyebrow shape. There is virtually no downtime associated with this procedure and patients may return to work within 48 hours. Some bruising and swelling is to be expected, swelling peaks on the third day but quickly settles on day 5. Small scabs will form around the implanted hairs and incisions after the procedure but will naturally fall away after 7-10 days. The original grafts will go through a shed stage and naturally fall out, new hairs will then begin to grow and you can expect to see results after 5 months and full hair restoration growth after 12 months. 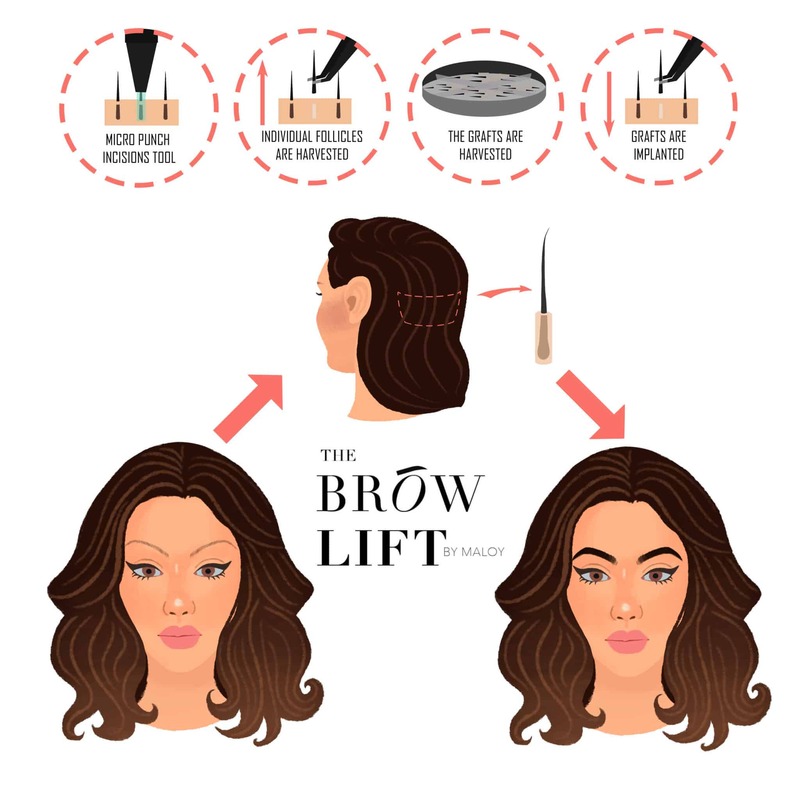 Because your new hairs will be implanted within the new shape we originally mapped out, there will be no need to style your brows into your desired shape. Grooming is required as your hair will continue to grow as its native origins, we recommend trimming once every fortnight, but may vary depending on individuals hair growth rate.